Original Not For Sale, but prints are available. Portrait of a young boy in an aluminum dinghy on a small lake. 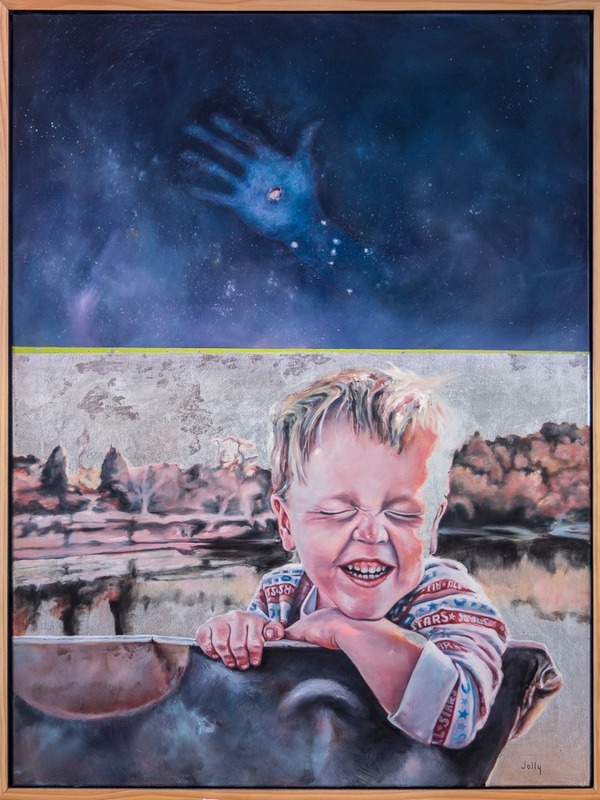 Light, as rendered in silver leaf inhabits the ether and invades the boy's face and body, even as the presence of divine light watches over him from the universe above as represented in the stigmata (actual hole in the canvas with silver foil behind it). Portrait of a young boy in an aluminum dinghy on a small lake. 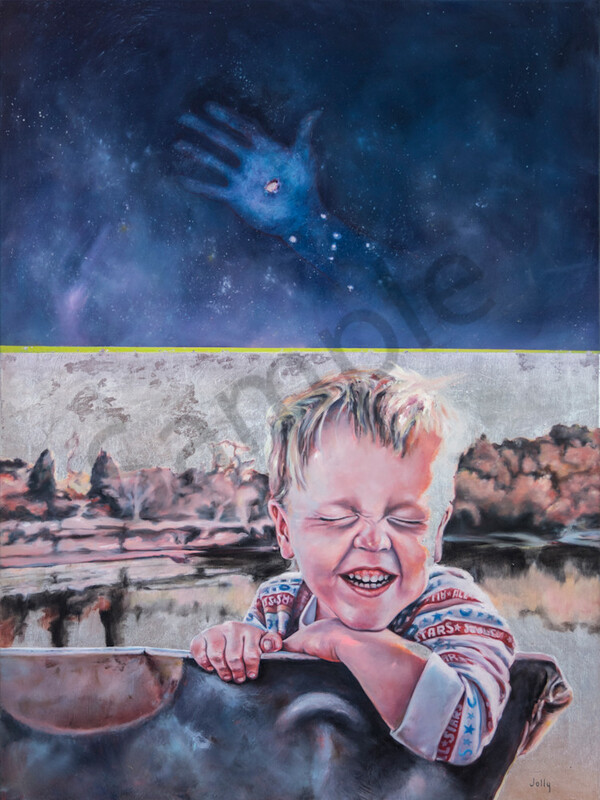 Light, as rendered in silver leaf inhabits the ether and invades the boy's face and body, even as the presence of divine light watches over him from the universe above.